Jabra now have a comprehensive range of Electronic Hook Switch (EHS) cables. These suit many phones and provide "no-moving-part functionality..
No more rushing back to your desk to answer calls. 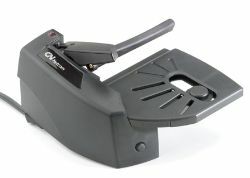 This Handset Lifter suits ALL GN Netcom cordless headsets.